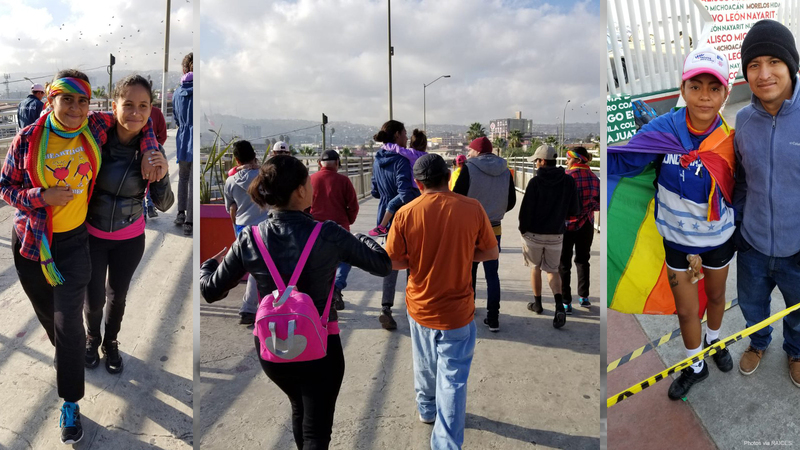 "We've been working with partners in Tijuana to provide legal services, shelter, security, and more for dozens of LGBTQ+ asylum-seekers stuck waiting weeks for their cases to be heard,” said Jonathan Ryan, executive director of RAICES. “The Trump administration is responsible for this delay, a delay that harms all immigrants but is particularly perilous for LGBTQ+ folks, who face dangers from police and ordinary citizens in Mexico and must be allowed safe entry into the United States." “People migrate (to the U.S.) because they will die and because they are hungry and because they are in need,” said Andrea Ayala, executive director of Espacio de Mujeres Lesbianas por la Diversidad, an El Salvadoran advocacy group, in a July interview with the Washington Blade. Earlier this month, many LGBTQ asylum seekers who were facing discrimination and harassment on their journey, split off from the main group of asylum seekers, reaching the U.S. border in Mexico in mid-November. A 2016 study by UNHCR, the U.N.’s refugee agency, found through its interviews that nearly 90 percent of LGBTQ asylum seekers and refugees reported suffering sexual and gender-based violence in their home countries in Central America. According to reports from the agency, the number of total registered asylum seekers and refugees from the region has grown exponentially -- up 58 percent in 2017 from the previous year.